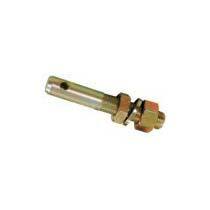 We make available the premium and qualitative Lower Lift Arm Implement Pins. Staffed by veteran professionals, highly experienced engineers; they ensure that the Lower Lift Arm Implement Pins commensurate to International Quality Standards. Our pool of experts makes use of quality approved raw components to deliver highly reliable, durable and perfectly manufactured Lower Lift Arm Implement Pins at reasonable prices. We efficiently deliver the Arm Implement Pins only after complete testing.